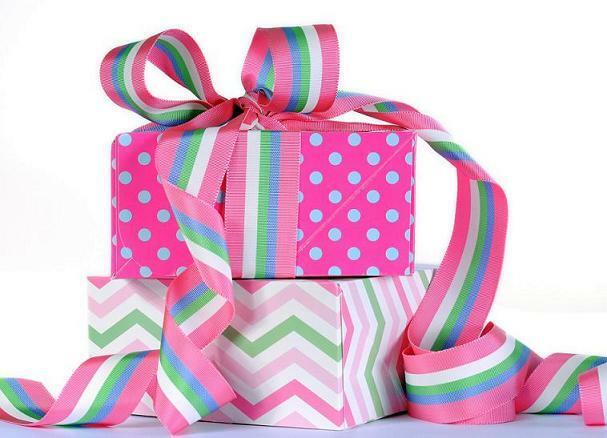 Gift Registry – Your Questions Answered! Oh, the running around with a scanner gun… That’s one of the most pleasant stages of a wedding planning, don’t you think, ladies? We all know it is an essential part of your wedding planning (not as essential as choosing your wedding gown), but, still, this is again something that requires careful planning in order to get you that tickling feeling of satisfaction just by the thought of the word “gifts”. Should I register online or offline (in store)? In the 21st century, the answer will always be “online”. Why? Because it’s easier both for you, and for your guests (especially those out-of-town ones). It’s more convenient as well – you can do it from the coach, while eating chocolate and watching The Wedding Planner or My Best Friend’s Wedding… What’s more, you can always log in and add/remove items, change preferences, etc. How much to register for? Basically, the sky is the limit here. Nobody’s going to want to buy you everything from the gift registry list, so don’t worry you’d look pretentious by registering for too many things. The main rule here is to only register for stuff you actually want. Otherwise you might get stuck with a golden swan the size of a Labrador. God forbid. What price range should I stick to? Even though there are no specific requirements, we strongly advise you to include in your gift registry items in different price ranges. The reason? Well, there may be wedding guests willing to buy you more expensive stuff or some family members may decide to group and give you a bigger present. But you should include some lower-cost items as well, so that your guests on a budget won’t feel uncomfortable choosing you an appropriate gift. The answer is: the sooner – the better. Our advice is to register after you get engaged (but before the engagement party), so that it will be easier for your family and closest friends to get you what you want as an engagement gift as well.